People ask me how and why I suddenly made the decision to take up sewing. 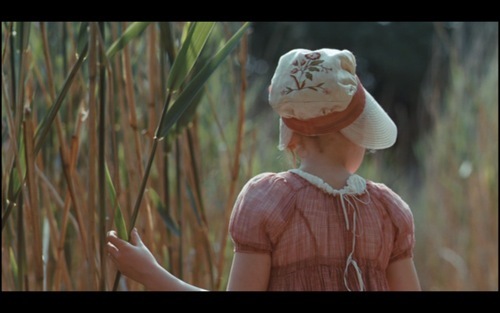 I can pinpoint the moment exactly to one evening in November when I walked down to my local cinema to see Jane Campion's Bright Star. As I sat in the auditorium waiting for the film to begin, I was thinking about how I wanted to take up a craft come the new year, to put my hands to some use other than typing. As the lights went down I was considering pottery, but from the opening shot of the film - an extreme close up of a needle being threaded - my mind switched to stitching and the decision had been made. 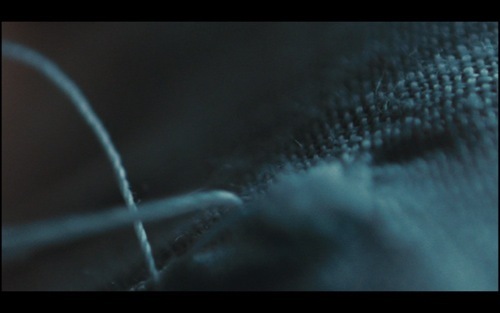 I'm sure many of you will have seen the film, but if you haven't, and you're reading this blog because you love sewing, ahhh... you've got such a treat coming! 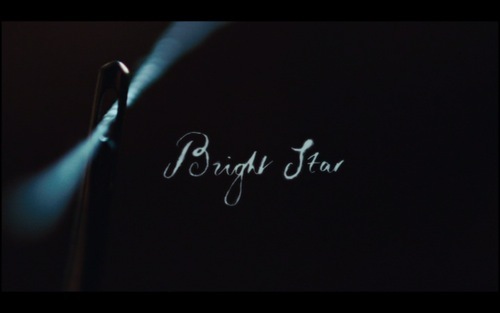 Bright Star is about the passionate, short-lived love affair between John Keats and the girl next door, Fanny Brawne. While Keats' poetry is of course central, no less prominent is Brawne's own craft of dressmaking. The fabulous costumes don't just appear from the props cupboard: we see her working on them from design right through to the reveal at society events. "This is the first frock in all of Woolwich and Hampstead to have a triple pleated mushroom collar"
Her character is first introduced as "the well-stitched little Miss Brawne, in all her detail". 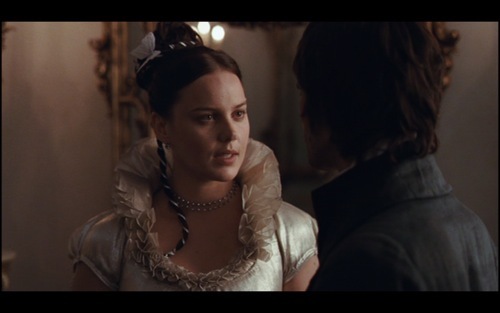 She is mocked by Keats' best friend for being a slave to "flounce and cross-stitch", a frivolous hobby in counterpoint to the more "serious" musings of a poet. However, while the poet friends struggle against writer's block and gain little respect (let alone income) for their work, Fanny consistently - and quietly - turns out beautiful pieces. 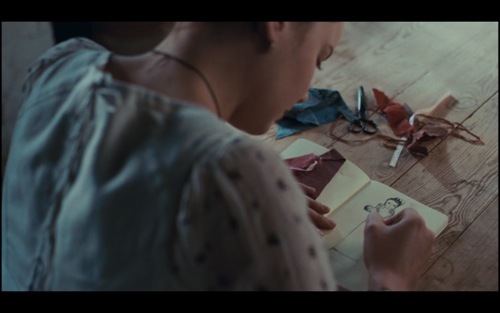 Fanny sews to express not only her youthful style, but also love and grief. 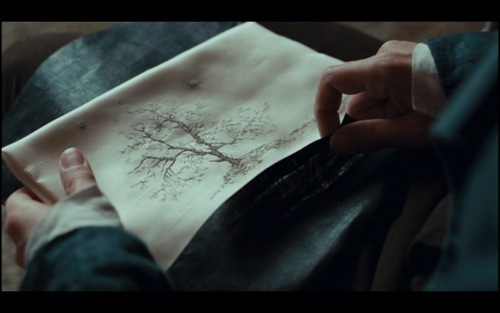 Keats' unlined coat is a constant source of concern for Fanny (and will eventually be the death of him); and when his brother dies, Fanny offers her condolences not in words but with an embroidered pillow case. 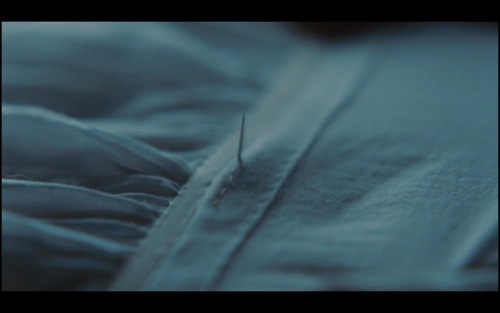 "She stitched it all night long"